G8 preparations on hold over Ukraine Jump to media player The leaders of the world's top industrialised nations have jointly condemned Russia for what they say is its clear violation of Ukraine's sovereignty and have put preparations for June's G8 summit on hold. 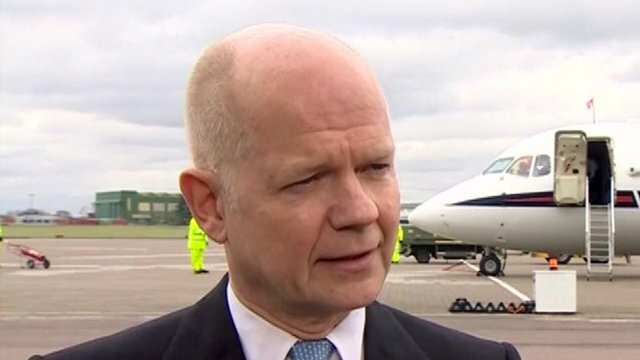 Hague: Ukraine sovereignty violated Jump to media player British Foreign Secretary William Hague is due to visit Ukraine on Sunday amid growing tension between the country's new leaders and Russia. 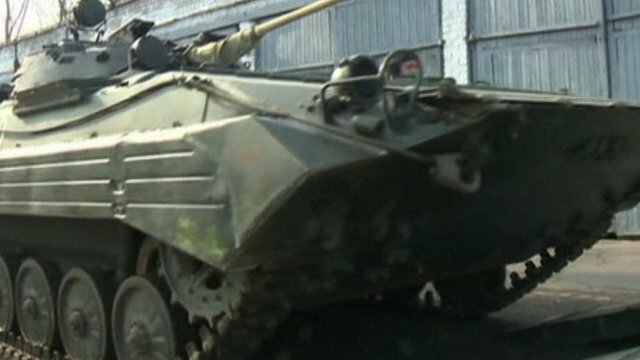 Can diplomats end stand off in Ukraine? 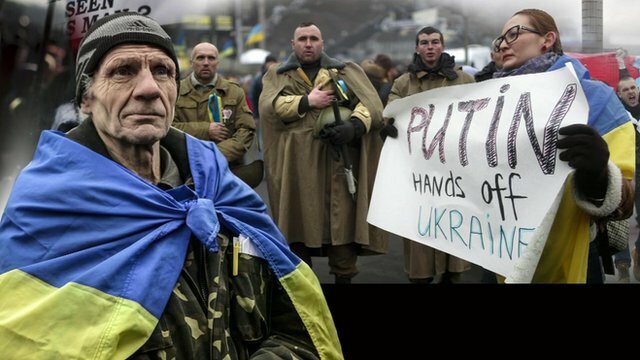 Jump to media player What are the implications of the Ukraine crisis, on the international community and what is the likelihood of any intervention, to end the stand-off. 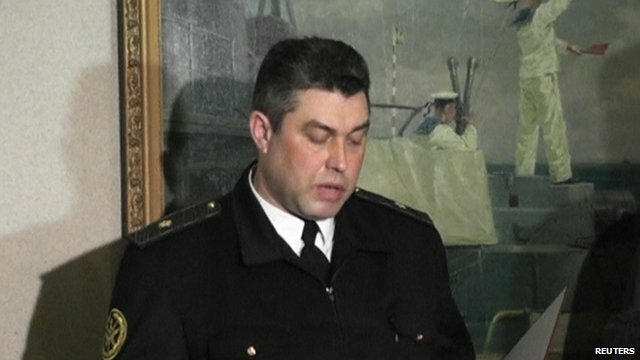 New Ukraine navy chief defects Jump to media player The newly appointed head of Ukraine's navy has sworn allegiance to the Crimea region, in the presence of its unrecognised pro-Russian leader. 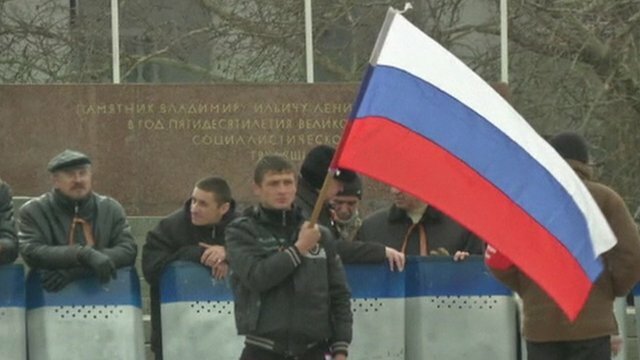 Clash of Cold War rivalries Jump to media player The crisis in Ukraine is one of the most serious confrontations between Russia and the West in recent years, A clash of old Cold War rivalries as Bridget Kendall reports. 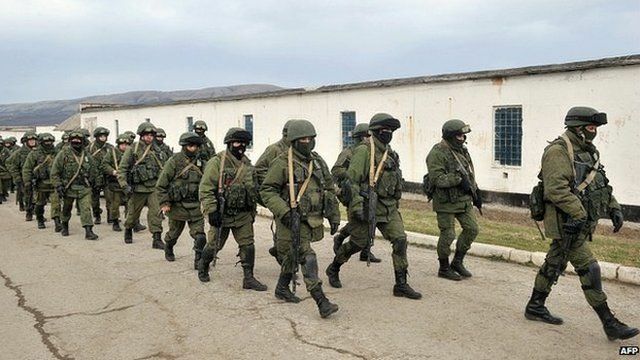 Tension remains high in Crimea Jump to media player Tension remains high in Crimea, where Russian has been continuing to build up its forces despite the US urging Moscow to call its soldiers back to their bases. The leaders of the world's top industrialised nations have jointly condemned Russia for what they say is its clear violation of Ukraine's sovereignty and have put preparations for June's G8 summit on hold. The moves come as Russian military forces continue to strengthen their grip on the Crimean peninsula. Meanwhile, European Union foreign ministers are due to meet in emergency session in Brussels later.